Casablanca Chandelier Elongated. French chandelier. Crystal chandelier. 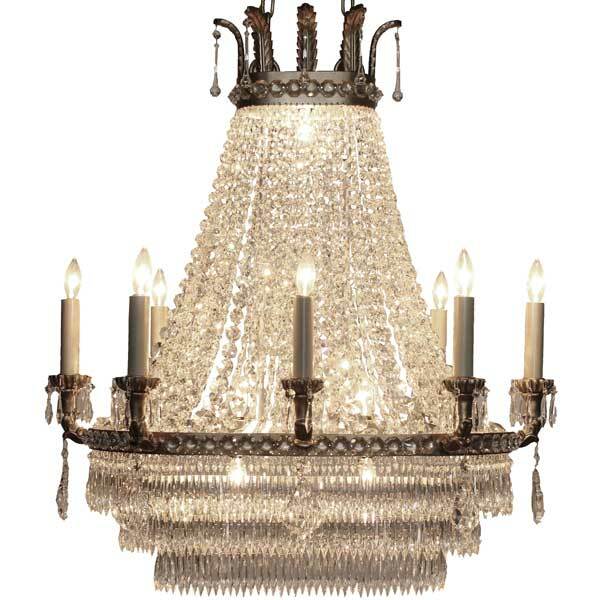 Inspiration for the empire style Casablanca Chandelier (8 Arms) (Elongated) came from crystal chandeliers which first appeared in the 17th century. 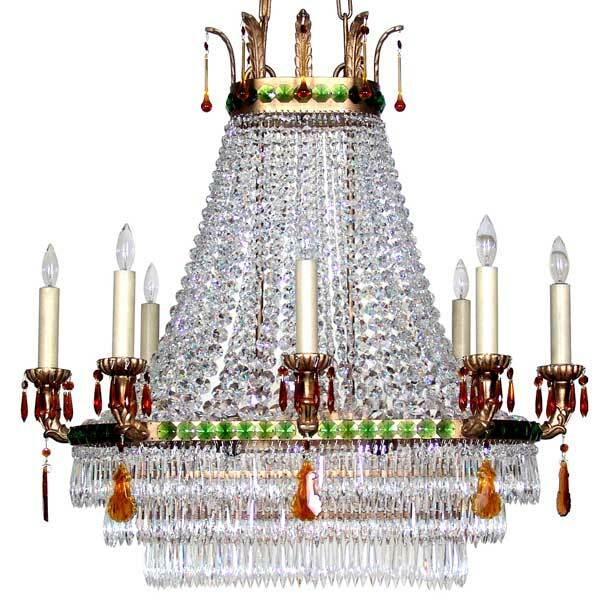 Early crystal chandeliers were trimmed in rock crystal – a natural material. Soon, French glass-makers were trying to emulate rock crystal with molded glass drops. In 1676, an Englishman named George Ravenscroft patented a new kind of glass for crystals – flint glass, which contains a lot of lead oxide. The lead oxide makes glass clearer and easier to cut in prismatic shapes. During the 1774 French revolution, Neoclassical style took root in France because of its origins in ancient Greek designs and the ancient Greeks had democracy. Neoclassical was much less adorned than what preceded it, which fit the political climate of revolutionary France perfectly. During the first part of the 20th century France colonized Morocco and brought Modern and Art Deco styles to Casablanca. Award-winning designer Shah Gilani, ASFD, drew his inspiration from this period of Moroccan history while designing the Casablanca Chandelier. This exquisite luminaire is offered in a variety of finishes. In addition to the lights on its eight arms, it also has internal lighting which makes its crystal chains sparkle when lit. Custom sizing is available.